Granny Smith and Gala apples. Apple picking is great fun, but what do you do with the rest of the harvest after you've made apple pie, applesauce, and apple cobbler? If you want apples that will stay fresh for months after you’ve picked them, you'll need to choose a variety that stores well. It's not difficult to find apples that will keep. Most of the late fall and winter varieties will do just fine if stored for a long time under the correct conditions. Apples that keep well generally are harder and have thicker skins. Softer apples will bruise more easily, which puts them at risk for rotting in storage. Again, these all make good keeping apples because they're generally thicker-skinned, and tend to be on the harder side. It's critical to get the temperature right when you're storing apples. You can't freeze the fruit, but you want your storage area to be as cold as possible without dropping below the freezing mark—around 32 to 34 degrees. Also, keep the storage area as dark as you can. A refrigerator is best for this, but often a basement will work almost as well. High humidity will help to keep your apples fresher, but don't let the fruit get wet or it will rot. Before putting the apples into storage, you should sort through them and choose the least-ripe fruit to store long-term (use the others more quickly). Don't store any fruit that's bruised, or that has broken skin. Also, remember that apples sweeten over time. If there’s a variety that’s too tart for you right off the tree, try it again after it’s been stored for a while—you might find you like it much better. 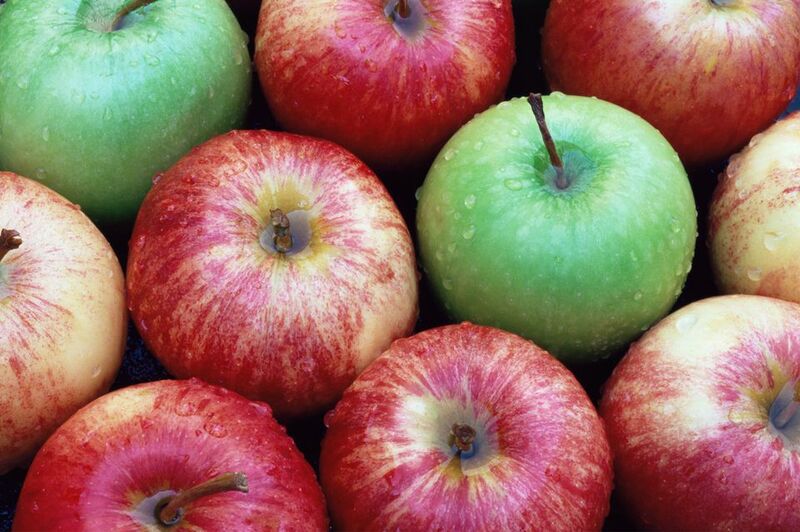 Which Apples Are Best for Each Type of Apple Pie?